Allegra X-15R Microplate ARIES Application Package, 208 V, is ideal for speedy preparation of your samples in microtiter plates. 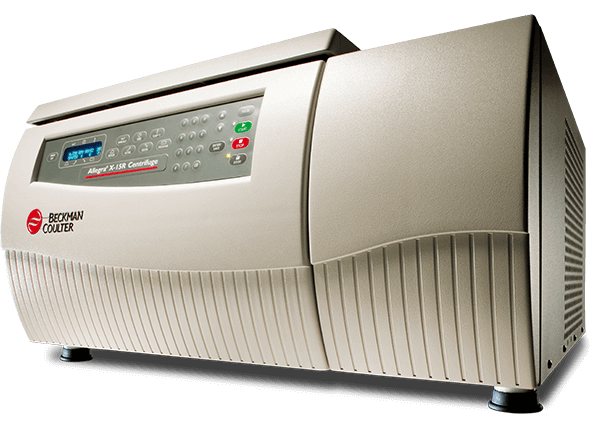 The Microplate package includes the Allegra X-15R refrigerated centrifuge with ARIES self-balancing microplate carrier rotor SX4750µ, which can detect and correct imbalances for up to 50 grams of opposing loads. Optional Microplate Carrier Covers not included. The microplate application package holds up to 16 standard microplates or 4 deep-well plates. Increase laboratory safety with available BioCertified Microplate Carrier Covers (Part Number 392805, set of 2 - not included). The maximum speed/RCF is 4,450 RPM / 4,060 x g.